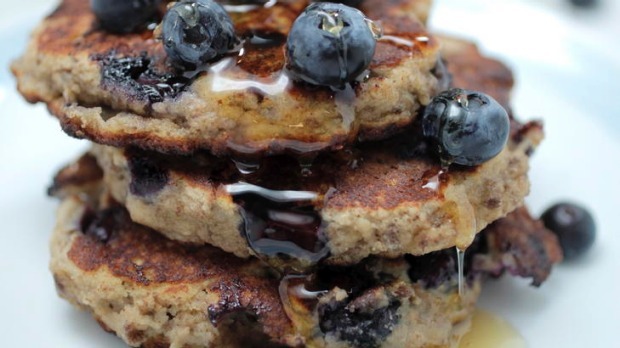 Combine smashed banana and eggs, then add almond meal, flaxseed, baking powder and cinnamon. Fold in blueberries and leave to rest for five minutes. Heat a pan over a low heat and add a little olive oil. Spoon pancake batter into rounds in the pan and flatten with the back of a spoon. Cook over a low heat – don’t rush! Flip over and finish cooking. Serve with maple syrup.